As preseason begins for League of Legends, teams have begun the annual “roster mix up” across the world. With a weak showing from North America at the World Championship this year, many teams are looking for brand new rosters to compete with. Across the Atlantic, Europe’s elite teams look to fine tune their rosters with the addition of a few players; however, the lower tier teams are renovating organizations as a whole and starting fresh. Even the amateur division of these regions have some exciting talent ready to prove themselves at the highest level. As we move further east, most of the Korean teams are staying the same, but China is where things are heating up in the rumor mill. Amongst all the marketing noise and player drama, Riot has tried to breathe life into the stale role of ADC. The changes from the 5.22 patch have buffed many marksmen champions. This heralds back to the old Season Two style of strong mechanical attack damage carries in competitive play. Finding the right carry will be crucial for a team’s success in Season Six. Finalized rosters won’t be posted until teams are done scrambling for the best possible solutions for their squads. Until then, these are the players and teams from the west that CPGaming is excited about for next season. In six months, this team climbed from a freshly formed challenger team to a world class competitor. On the backs of their veterans, such as Xpeke and Mithy, Origen has achieved much success in such a short time. In their first split of LCS play, they finished with a 12 and 5 record, taking the (at the time) unbeatable Fnatic to a fifth game for the European championship title. A lot of their success can be attributed to their champion pool and flexibility in team compositions. The ADC Neils on the team played phenomenally this year as well. He challenged the likes of SKT T1’s Bang and dominated other established marksmen in lane during his first World Championship appearance. At this point in time, the only part of the roster that is changing is Xpeke. Origen is now opting for a six man roster, which opens up the possibilities for one of Europe’s prolific mid laners to rise to the challenge, PowerOfEvil. Enter Unicorns of Love, with their unorthodox champion picks and unpredictable strategies, they’re another team who acquired rapid success during their first season in the EU LCS. Even before the start of Season Five, UoL flexed their strengths at IEM San Jose 2014 defeating Lyon Gaming and TSM in brilliant fashion. As the regular season progressed, the team innovated the meta with non-traditional jungle picks and snowballed their leads with exceptional midlane play. After a year of moderate success, the current roster has been recently dissolved. Losing their jungler Kikis to another team was the beginning of the end for the rest of the roster. Despite their overall successful year, losing him was a nail in the coffin for UoL’s hopes at the Season Five World Championship. 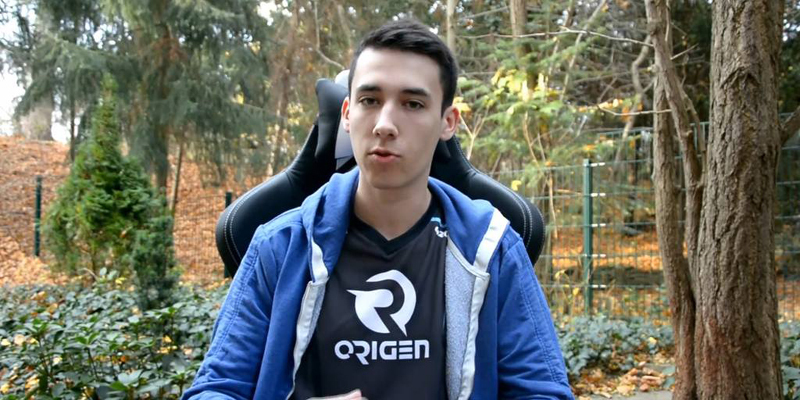 PowerOfEvil making the jump over to Origen appears to be a great choice for his future. His Oriana and Varus in the mid lane have been the highlight for many of UoL’s victories. Additionally, his strong laning performance makes it easy for him to adapt to different strategies. At the moment, PowerOfEvil is one of the best mid laners in Europe and jumping on board the Origen hype train looks to be promising in the next season. After a devastating sweep for the NA Regional Championship and a disappointing showing at Worlds, TSM looks to rebuild and return to their former glory. TSM started their first half of Season 5 in dominating fashion with their current roster being a recipe for success. At the time, they looked like North America’s best chance at Worlds. That success was expected from TSM. They had developed years of top finishes and numerous all star lineups each a reiteration of the team, but they could never quite perform at the global stage. The cracks in their armor began to show in the second split of the LCS. Adding in a new ADC sub to inspire better performance only seemed to worsen the problem. This all culminated with TSM finishing the lowest rank in franchise history at fifth place. The synergy fans had seen with IEM Katowice was gone, leaving them with only an illusion of hope. Rumors of inner strife between players and coaching began to surface. Amidst the worsening team situation, TSM rallied and cruised through playoffs on the backs of Dyrus and Bjergsen to reclaim their top spot in North America; however, TSM crumbled at the brink and were swept cleanly by CLG, a longtime rival for the franchise who had not beaten them since last season. This was a significant turning point for the team with the loss crippling them for the upcoming World Championship. It was brutally apparent in their 1 – 5 record, and also with Dyrus and Lustboy opting for retirement, that it was time to rebuild once again. As of November 14th, the new roster consisting of Hauntzer (Top), Bjergsen (Mid), Svenskeren (Jungle), Kassing (Support), and Doublelift (ADC) looks promising. A huge focal point of the roster is the addition of Doublelift. Not only did TSM get their rival organizations all-star player, they got one of North America’s top competitors. Doublelift had an exceptional year with CLG and is one of the best marksmen at 10 minutes in terms of GPM (gold per minute). He was also a key component to CLG’s successful season. Doublelift has more pentakills than any other ADC in the world (in tournament play). Despite his critics, he has consistently improved as he has aged. The concerns of bad attitude and poor team behavior associated with Doublelift raise questions on whether or not TSM can rectify these issues before it hurts them down the road. The addition of two of Europe’s top players also makes TSM enticing. The auxiliary positions of support and jungle have been secured by players who were integral to their previous teams success. TSM finally has the roster of veteran players who have carried entire teams on their backs. Whether or not these personalities will mix is still up for debate. Renegades recently earned their way into the LCS through the promotional tournament. This mixed roster of LCS veterans and solo queue heroes battled through the amateur league to earn their spot. Both their jungler and mid laner have competed on the World stage while their rookie support and top laner are eager to prove themselves. From a playstyle perspective, Renegades is great during team fights, but their objective control gameplay is not as strong. Crumbz (Jungler) and their support Remilia are exciting to watch. In their entrance series with Coast, Remilia’s Thresh was absolutely incredible, which hooked them back into the series in game two. The synergy between Crumbz and Russian born Alex Ich created several opportunities to put Team Coast on the back foot. After qualifying for the LCS, the current ADC, MapleStreet8, stepped down and left Renegades in search of a suitable replacement. With their marksmen position vacant, Renegades are scouting to upgrade from MapleStreet8. At the moment, the rumors fall between Copenhagen Wolves bot lane star Freeze and TSM’s old carry WildTurtle. In his own right, WildTurtle is still the stellar player from years ago when he secured a pentakill in his first LCS game; however, his recent performance on TSM was lackluster. Renegades could be a fresh start for him, seeing how they can grow with instead of just showing up and playing. On the other side of the coin we have Freeze, a talented player who was stuck with an underperforming team. Lauded as one of the best in the region by his peers, Freeze placed as the top player on the EU West ladder this past season and played personally well in his LCS matches. Joining Renegades would be a great way to ride their momentum and help the team face harder competition later this year. No doubt each player looks promising, but Freeze seems the likely choice of the two since WildTurtle has been trying out with CLG. Whichever way Renegades proceeds, they possess a very interesting group of players and hopefully they will live up to their expectations. This team of LCS veterans fell from grace last season and are looking to return to their former glory in Europe. After sweeping through the Challenger series in 2014, Roccat crushed many LCS teams in the Spring season finishing 3rd overall. Their aggressive mid laner, Overpow, shocked fans with his brazen plays and unique champion picks. Their jungler and support also had impressive synergy in team fights, often peeling off enemy players for Overpow to secure the battles in their favor. Following the LCS Summer Split, Roccat did not adapt to the meta as fast as their opposition and they began to flounder. Many brushed them off as a one split wonder team, but they survived relegation that season. The following year, it seemed nothing had changed despite dropping two player from the original roster and acquiring two other solid players. The acquisition of Nukeduck and Woolite was initially a great fix. Against middle tier teams they succeeded, but they were easily toppled by teams like Fnatic and Origen. In the Summer playoffs, there was a glimpse of the old school Roccat before they took the red hot Origen to a deciding game five. Tragically, they were demolished in the early game and lost the final match. This year they dodged relegation once again, but they are trying to find the team cohesion they once had years ago. While Roccat barely survived the season, Gambit Gaming also fell into discord as two of their best players looked to jump ship. Cabochard, the former top laner, and the infamous ADC Forg1ven are free agents. Their ability to not only carry Gambit through the season, but to put up solid stats on a losing team, is impressive. Forg1ven has been a “tour de force” since he made it into the LCS with the Copenhagen Wolves. When he was on SK Gaming in Season Four, he did not die in a single game until halfway through the split, while still winning the game against H2K. With Cabochard, he appeared very impressive while receiving minimal resources from his team. The main concern with adding these players would be small attitude issues from Forg1ven’s past, but overall a positive change of pace for them. If the rumors are true, these two carries would pull Roccat out of their slump. This recently announced team bought the LCS spot from team Coast and are looking to start off their rookie year with a stacked roster and veteran support staff. The roster consists of Impact (ex-SKT T1) in the top lane, former Jin-Air mid GBM in the mid lane, Challenger League star Moon in the jungle, the prodigy carry Altec as the marksmen, and the eager support player Konkwon, originally from Team Coast. The team was originated by a group of investors who also co-own the Sacramento Kings Basketball team. After seeing the rapid, global growth of League of Legends, they saw the value and stability of the game. The investors then applied their traditional knowledge of sports background to form this squad. Furthermore, they picked up the ex-coach of Origen who significantly contributed to their success at the Season 5 World Championship. Additionally, the team seems prepared for any language barrier problems that might arise with their recruiting of GBM and Konkwon, who both are fluent in English and Korean. From a skill standpoint, NRG is deep in talent and does not seem to have any weak points on a superficial level. Impact is clearly one of the best top laners in North America if not the best. Altec has shown immense growth and skill on Gravity, and their two amateur players have been at the top of the NA solo queue ladder for a while. The real question is whether or not all of the investment will pay off? Is money, resources, and talent enough to build a top tier team? Or will they need something more? Only time will tell.